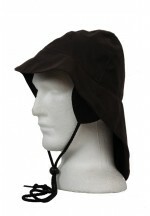 Traditional stockman hat style which gives you good protection from the sun and will keep your head dry in the rain. 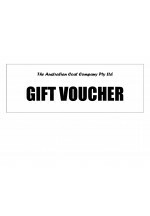 You could be gardening, working, socialising with friends, horse riding or travelling ................... You are invited to enjoy the high quality of our fabrics, excellent workmanship and affordability of our Aussie Bush Hat, 100% Australian made in our own factory located at Slacks Creek, Brisbane, Australia. 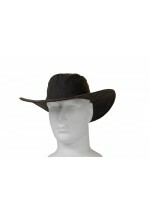 Features of our Aussie Bush Hat include: ► Made from excellent quality Oilskin or Durapel fabric .. Walking in the rain? Get annoyed when your hat blows off? Our Aussie Sou Wester Hat is the solution you have been looking for. You are invited to enjoy the high quality of our fabrics, excellent workmanship and affordability of our Aussie Sou Wester Hat, 100% Australian made in our own factory located at Slacks Creek, Brisbane, Australia. Features of our Aussie Sou Wester Hat include: ► Made from excellent quality Oilskin or Durapel fabric (see tabs above All about our Oilskin and Durapel fabrics) ► ..
Old fashioned rain hats are the best! Keep your head dry and won’t blow off in the wind. You are invited to enjoy the high quality of our fabrics, excellent workmanship and affordability of our Claybourn Sou Wester Hat, 100% Australian made since 1910 in our own factory located at Slacks Creek, Brisbane, Australia. Features of our Claybourn Sou Wester Hat include: ► Made from excellent quality Oilskin or Durapel fabric (see tabs above All about our Oilskin and Durapel fabrics) ► Packs down s..